"Above all, you must understand that no prophecy of Scripture came about by the prophet's own interpretation. For prophecy never had its origin in the will of man, but men spoke from (Alahim) as they were carried along by the (Ruach HaQodesh)." "But there were also false prophets among the people, just as there will be false teachers among you. They will secretly introduce destructive heresies, even denying the sovereign Master who bought them- bringing swift destruction on themselves. Many will follow their shameful ways and will bring the way of truth into disrepute. In their greed these teachers will exploit you with stories they have made up. Their condemnation has long been hanging over them, and their destruction has not been sleeping. For if (Alahim) did not spare angels when they sinned, but sent them to (tartaros), putting them into gloomy dungeons to be held for judgment; if He did not spare the ancient world when He brought the flood on its (impious) people, but protected Noah, a preacher of righteousness, and seven others; if He condemned the cities of Sodom and Gomorrah by burning them to ashes, and made them an example of what is going to happen to the (impious); and if He rescued Lot, a righteous man, who was distressed by the filthy lives of lawless men (for that righteous man, living among them day after day, was tormented in his righteous soul by the lawless deeds he saw and heard)- if this is so, then the Master knows how to rescue (pious) men from trials and to hold the unrighteous for the day of judgment, while continuing their punishment. This is especially true of those who follow the corrupt desire of the sinful nature and despise authority. Bold and arrogant, these men are not afraid to slander celestial beings; yet even angels, although they are stronger and more powerful, do not bring slanderous accusations against such beings in the presence of (Yahuah). But these men blaspheme in matters they do not understand. They are like brute beasts, creatures of instinct, born only to be caught and destroyed, and like beasts they too will perish. They will be paid back with harm for the harm they have done. Their idea of pleasure is to carouse in broad daylight. They are blots and blemishes, reveling in their pleasures while they feast with you. With eyes full of adultery, they never stop sinning; they seduce the unstable; they are experts in greed-an accursed brood! They have left the straight way and wandered off to follow the way of Balaam son of Beor, who loved the wages of wickedness. But he was rebuked for his wrongdoing by a donkey- a beast without speech- who spoke with a man's voice and restrained the prophet's madness. These men are springs without water and mists driven by a storm. Blackest darkness is reserved for them. For they mouth empty, boastful words and, by appealing to the lustful desires of sinful human nature, they entice people who are just escaping from those who live in error. They promise them freedom, while they themselves are slaves of depravity- for a man is a slave to whatever has mastered him. If they have escaped the corruption of the world by knowing our Master and Savior (Yahusha haMashiak) and are again entangled in it and overcome, they are worse off at the end than they were at the beginning. It would have been better for them not to have known the way of righteousness, than to have known it and then to turn their backs on the (set-apart) command that was passed on to them. Of them the proverbs are true: "A dog returns to its vomit," and, "A sow that is washed goes back to her wallowing in the mud." Discern the aim of your teachers. "This is NOT the Way, DON'T walk in it." False Prophets' Goal or objective: to give false directions through changes or replacements. 3. Demonizing those who use the correct Name, and who obey the "old" ways, not traditions. 3. You shall not cast the Name of Yahuah your Alahim to ruin, for Yahuah will not hold anyone guiltless who casts His Name to ruin. Allah was also worshipped as the Lord of the Ka'aba. allähu akbar, “ALLAH IS THE GREATEST.” The crescent moon is their "logo", and this is a symbol representing Allah, one of two beings they pray to. The other being they pray to is "Mary", a dead woman of the tribe of Yahudah, the one who brought the Messiah of Israel into the world. Allah is not the same person as Yahuah, so Muhammad is a false prophet. See the book Who Is Allah for details on how the Arabs were influenced with the worship of the Hindu Shiva (destroyer). The same shrines, beads, behavior, and symbols came from India along the trade route called The Silk Road. This reached the Middle East around the 2nd century BCE. The Mormons' false prophet, Joseph Smith, claims to have found some golden plates recording the history of the inhabitants of the Americas. He claimed to have translated these with the Urim and Thummin, given to him by a messenger named Moroni. Yet, he uses the words "JESUS" and "CHRIST", both based on the Greek language. The plates were supposedly written in Hebrew, yet out popped these Greek terms. 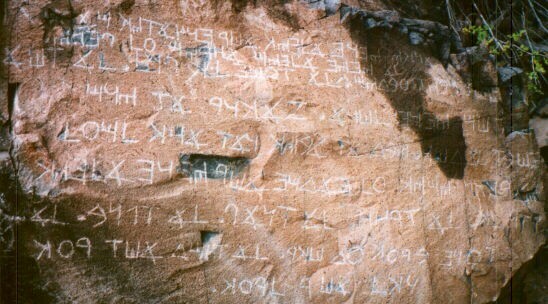 The same thing was done by another translator, George Lamsa, who translated directly from the Aramaic Peshitta. Aramaic is a Hebrew dialect, not Greek. In his translation from Aramaic, George uses the terms GOD, LORD, JESUS, and CHRIST, when the Aramaic did not contain these terms. George "cleansed" the text for us. The Name of salvation was blotted-out by many more translators as a matter of tradition, as most will admit if you read the PREFACE of their work. The MORMONS call themselves “The Church of Jesus Christ of Latter Day Saints”. Originally they taught that black people cannot be saved because they were under the “curse of Ham”. Later, they changed this teaching. "We were begotten by our Father in Heaven; the person of our Father in Heaven was begotten on a previous heavenly world by His Father; and again, He was begotten by a still more ancient Father, and so on from generation to generation, from one heavenly world to another still more ancient..."
This is a false teaching, so Joseph Smith is a false prophet. He added to the Word of Yahuah - and taught blasphemies like the one above. 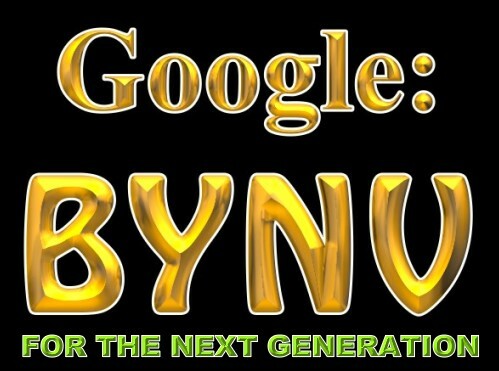 They destroyed the Name of the Creator just as was done in the KJV and NAS. 1931: CHANGED NAME TO “JEHOVAH WITNESSES”. DENIAL OF TRINITY; THEIR “JEHOVAH” IS A SINGLE PERSON, NOT 3 PERSONS, AND NOT OMNIPRESENT. (In this they are correct that Yahuah is not 3 persons, but Yahuah is definitely omnipresent, and a single Personality – Yahuah is certainly not 3 distinct beings). THEY BELIEVE MICHAEL WAS FIRST CREATION, THROUGH WHOM YAHUAH CREATED ALL OTHER THINGS. (A heresy, probably taught because the name “MIKA’EL” means “who is like Alahim?”). THEY DENY THAT Yahusha IS Alahim. (Another heresy). False prophets presume to speak in the NAME of the “GOD” their followers are indoctrinated to believe in. 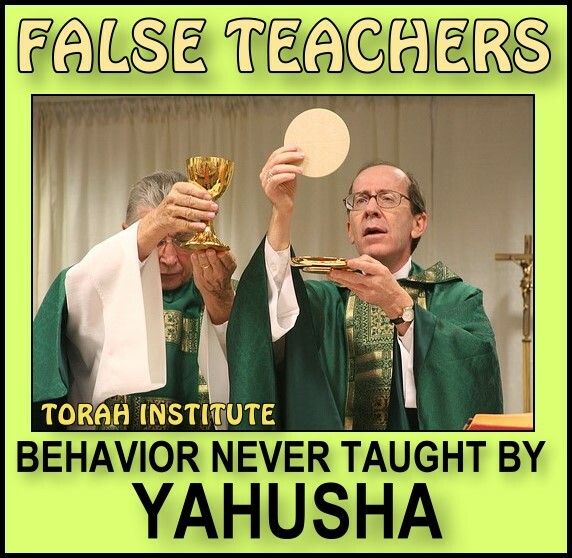 They do not really educate their followers, they indoctrinate them with blended traditions, altered facts, and teachings that are in conflict with Yahuah’s revealed Word. In His Name? Whose Name exactly? We are not “one” because we have not kept our teachers under the authority of Yahuah’s Word - they strayed. Losing the Name, people lost the protection of the Name, and became divided. The Name would have kept us in unity. A False Prophets' Goal or objective: to give false directions through changes or replacements. Q: WHAT IS THE MOST COMMON REASON YAHUDAH DOES NOT BELIEVE IN YAHUSHA? A: They cannot find a connection to Yahuah in the name “JESUS” anywhere in the Torah, Prophets, or Writings. The Name is the proof for them. “He-soos” means “the horse” in Hebrew. In Latin, it means “the pig”. They cannot fathom why the Messiah of Israel would have a Greek name that means "the horse" in Hebrew. Very early, there was a campaign to blot-out the true Name. The letter “J” did not exist on this planet until roughly 1530; the KJV gave the world “JESUS”, the work of Jesuits. The Talmud refers to Yahusha as JESCHU (the modern form of YESHU). 'Blessed is He who comes in the Name of Yahuah.'" Who is the Mashiak of Israel? What is His Name? Who has gathered up the wind in the hollow of His hands? They want to know, and so should everyone who enters into the Covenant with Him. “Mosheh said to Alahim, "Suppose I go to the Israelites and say to them, 'The Alahim of your fathers has sent me to you,' and they ask me, 'What is His Name?' Then what shall I tell them?" Yahudah wants to know His Name. Will you call Him YESHU, JESUS, or Yahusha? Let's get the Name right, and then go tell Yahudah -- they've been waiting for us to share it with them. “And everyone who calls on the Name of Yahuah will be saved.' (quoting from YahEl 2). If anything is incorrect in this analysis, provide the proof of the error. If you feel it worth sharing, send this message to everyone you can. REPENT TO THE COVENANT OF LOVE THE FAITH ONCE DELIVERED TO THE SAINTS?